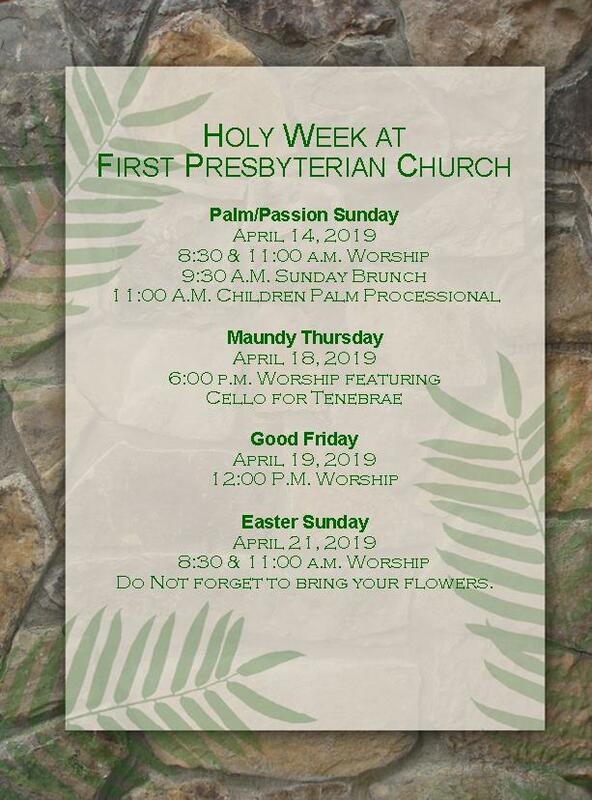 Join us for Sunday Brunch beginning at 9:30 a.m.
Why is there a tree at the front of the sanctuary ? 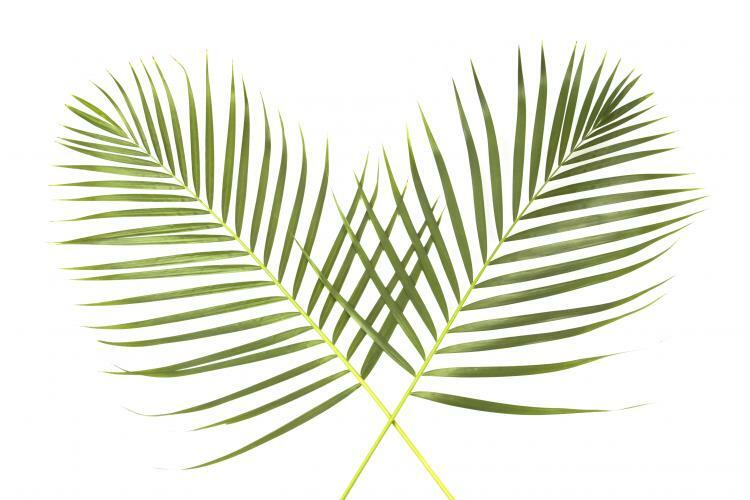 This Lent, our theme (courtesy of our friends at A Sanctified Art) is Cultivating and Letting Go, during which we are asking you, "What would you like to cultivate in your life of faith? What would you like to let go?” Write down your responses to those questions on “leaves” placed around the church and we’ll hang them on the tree in the sanctuary for use in worship! The Food Closet is in need of canned goods. Please drop off canned goods in the marked bins outside the elevator in the Gallant building. Wednesday, April 17 is our last Wednesday night supper until this fall. Join us for Catfish fillets, Chicken tenders, Slaw, French fries, Hush puppies, and Oreo Pie. One Great Hour of Sharing : Our yearly offering, One Great Hour of Sharing, will take place on Easter Sunday, April 21st. Refer to the bulletin insert explaining how the funds from One Great Hour of Sharing are divided equally among its three programs: Presbyterian Disaster Assistance, Self-Development of People, and the Presbyterian Hunger Program. Together we make a world of difference. The Youth Car Wash will be held Saturday, April 20 from 10:00 am to 2:00 pm at Mike Patton Auto on Lafayette Parkway. The Car Wash is free. Donations are accepted and Mike Patton donates $10.00 per car. All funds from this fundraiser will go toward our youth attending Middle and High School Montreat Youth Conferences in June and July. Vacation Bible School : Miraculous Mission, Jesus Saves the World is coming June 10th —13th, 2019. Our children and volunteers will fill their mornings with lively games, creative crafts, snacks, toe tapping music, and stories of Jesus. Mark your calendar for this annual event. Registration forms are now available. For more information about Vacation Bible School or about opportunities to volunteer, please contact Deb Sargent at dhsargent@yahoo.com, 706-333-8647. The prayers & sympathy of the congregation are with the family of Billie Waters upon her death on April 10, 2019. 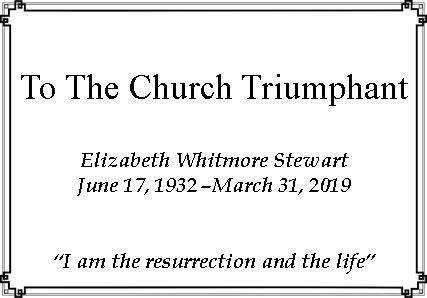 The family has requested that memorials be given in her memory to First Presbyterian Church, LaGrange, or First Presbyterian Church, Columbus, Ga. The prayers & sympathy of the congregation are with Anne Pope & John Seay upon the death of their daughter, Cynthia O’ Neal.